One of the good things about a week worth of vacation is plenty of time to focus on just kicking back and relaxing. 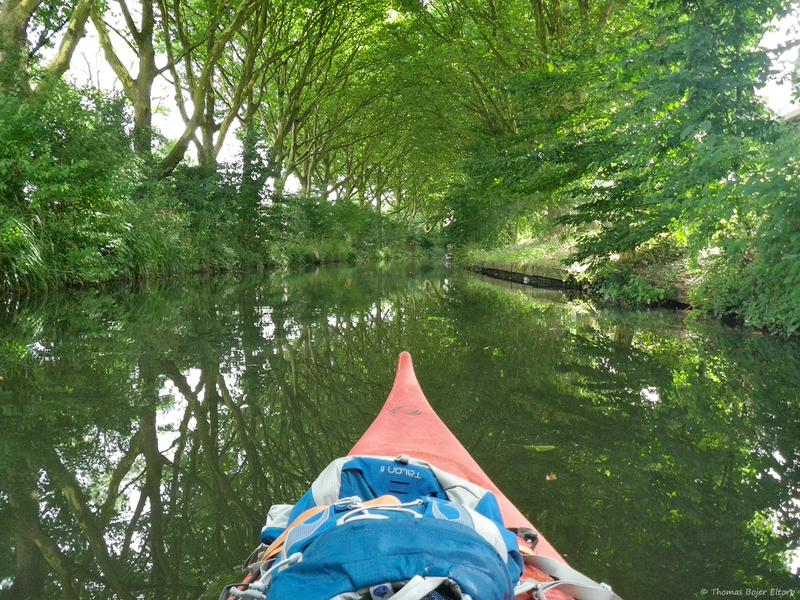 My kicking back on this vacation has been a good 60K of Kayaking, nothing like paddling the slow rivers of the Netherlands especially in settings as absolutely gorgeous as Utrecht. it is a marvel of a town on so many levels. Already upon arrival I had the feeling that Utrecht had the potential to be an amazing barefoot city, lots of small old streets all with rugged and uneven cobble stones or with a variety of small flagstones, and generally I had to spotted few paved sections of road. 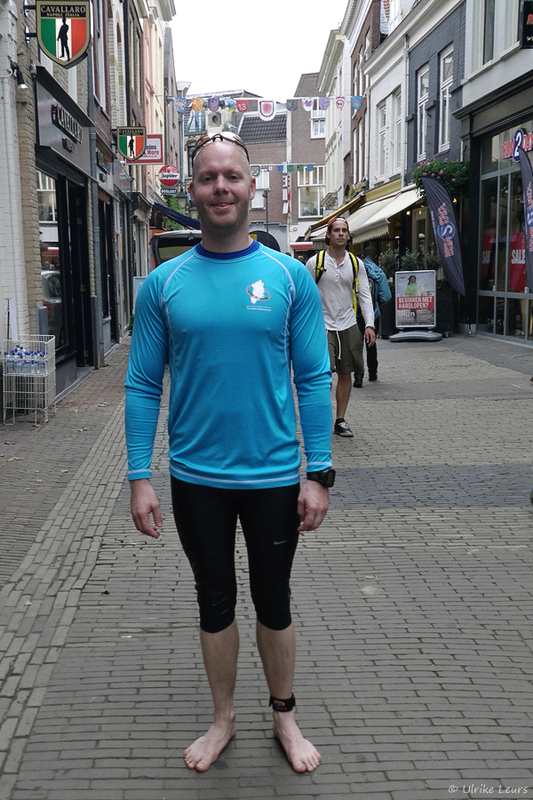 I was so wrong though as I found out on my run, not that the 10K was not amazing in General, but more the fact that Utrecht is nearly covered in broken glass and not harmless security glass shrapnel, no we talk that nasty broken bottle with jagged sharp edges shrapnel. I have never had to be this careful running before and it is a shame because it really is an absolutely amazingly beautiful place to run for barefooters. Pace and cadence was generally relaxed, even the dodging glass moves seemed to be frequent enough to become part of the pattern. The running style itself still seems very locked down. A lot of work can still be done on how I tend to increase speed, but I think I have found a good balance between pull and upping the cadence. The 180 SPM really do seem a bit slow especially barefoot. 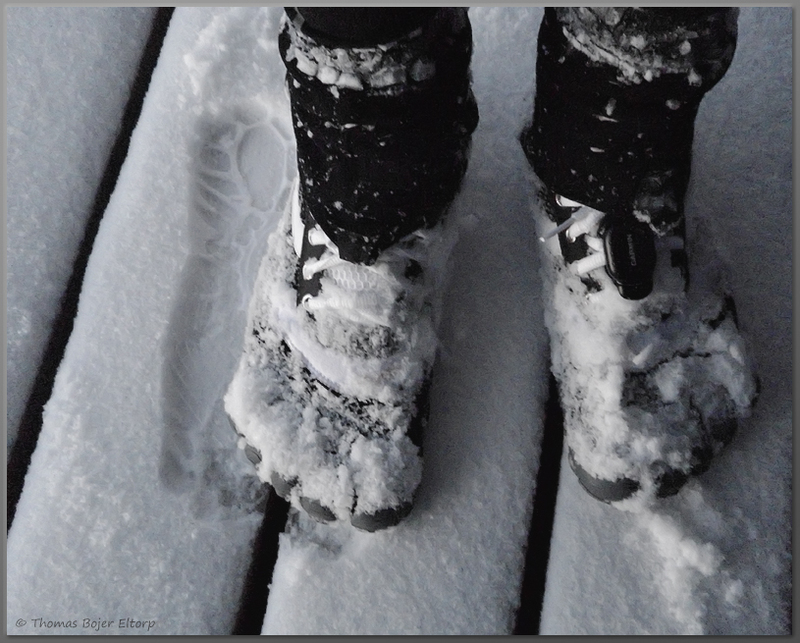 My Soles seems rugged and well adapted to running completely barefoot and finding a way to maintain the ruggedness over the coming winter will be a challenge. 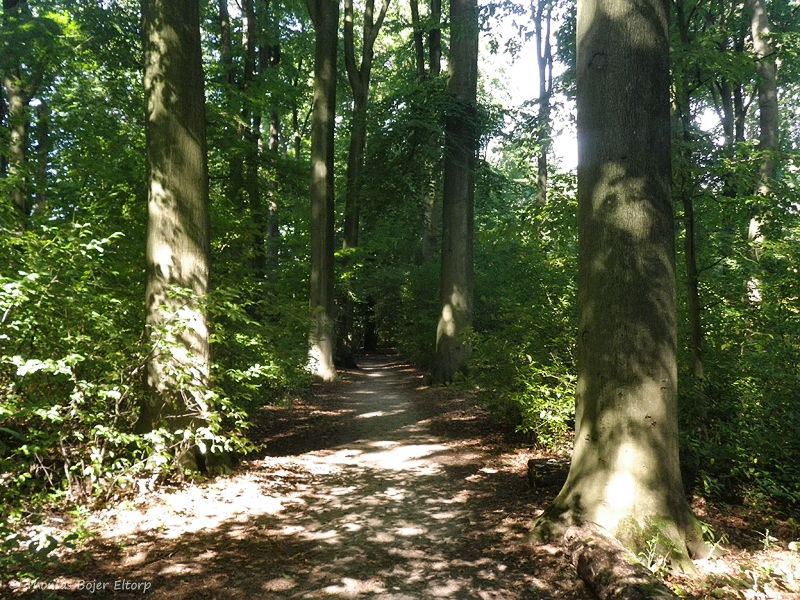 Having paddled 25K in a kayak the day before, I decided that wednesday was time for a run along one of the small rivers I discovered had a nicelooking trail and revealed by the map a nice forest area a few kilometres out. Knowing it would be nearly all trail and being put slightly off by my experiences during my first run, I opted for my seeyas on this run. the first 2K got me to the beginning of the trail and the following six were anon technical trial, with a silent river flowing either right next to me or just a tree or two away. the next 7,5K was a gorgeous mix of trails from pretty dicey single trail (perhaps no trail at all) due to the very uneven terrain and the extremely slippery roots. It was extremely fun until I slipped and fell halfway in. A slippery root made me loose my balance, but I managed to land hands and not face first earning me a really nice set of superficial wounds in the palm of my hand. The 8K home I upped the pace a bit testing my legs and just enjoyed the mental state of bliss from a longer run again, not to mention the gorgeous vies along the river into Utrecht. 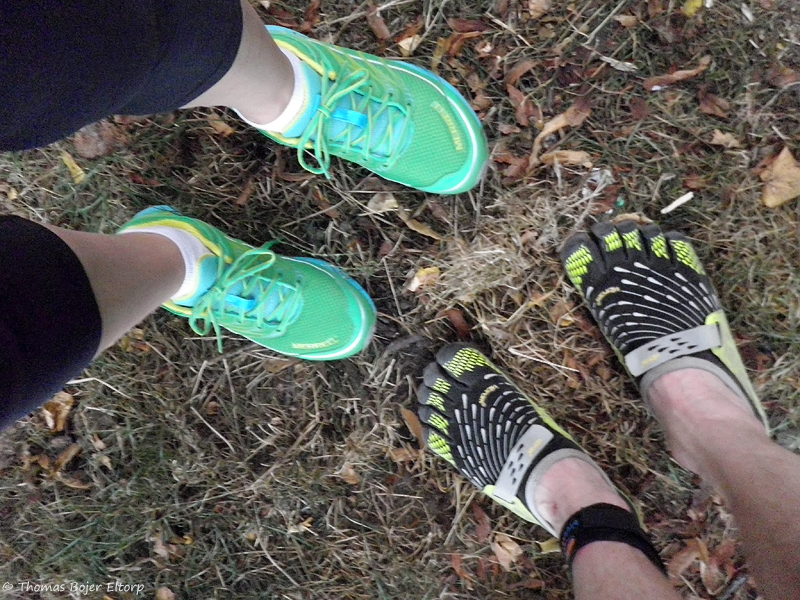 In spite of the 23,5K the day before and even though my feet were a touch sore in the morning, I could do nothing but ay yes when my Girlfriend wanted to go for a run and a test of her brand new Merrell Mix Master Glide. 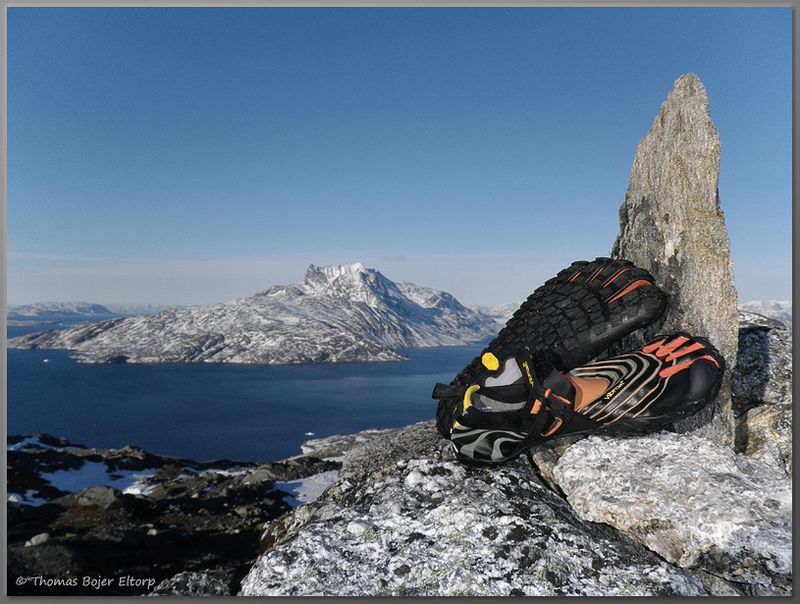 We all know how difficult it is to have new gear sitting unused on the shelf, thus in the evening we strapped into the running shoes and went for a short run. being in the evening and given the massive amount of glass everywhere I had no choice but to jump into my seeyas. 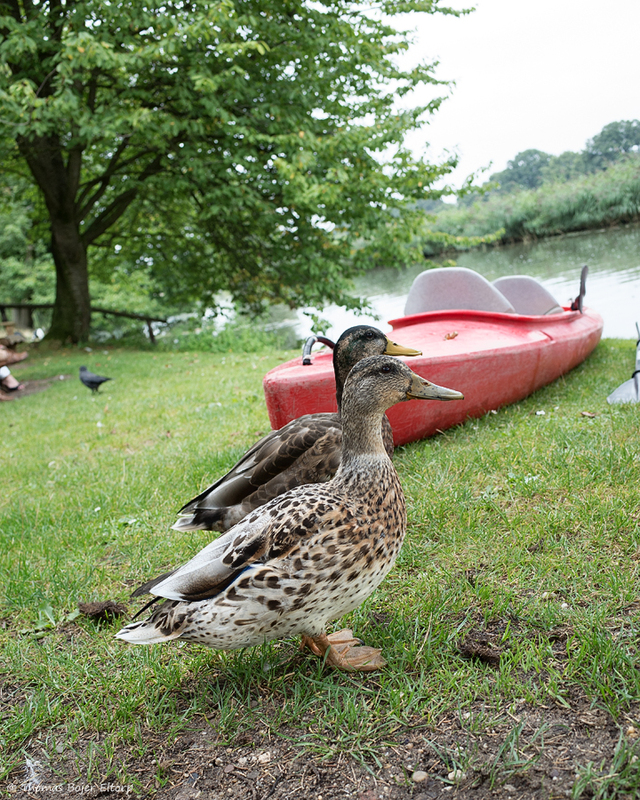 It turned out to be a wonderful evening with a 5K circle run around the inner rivers of Utrecht. Utrecht is a stunningly beautiful town. Two competitive sprints were added and I have to admit that in spite of being a young runner, she has a great potential to soon outsprint me. I am not sure how much her new shoes added to her sudden speed boost, but she really was quite satisfied with both the fit and trade off between cushioning and ground feel. Well following a very nice 10K, I had the opportunity to go running with my girlfriend. It was a nice, casual 6,5K in the area around Ørestad. Not being quite sure what to expect running on I snug into my seeyas before heading out and enjoyed a run where the focus was on being out running together. We even threw in quite a few sprint competitions along the way, soo good fun. It does not make much sense to keep commenting on running style a lot. I feel my running style really have found a rhythm more than anything. From a “pure” pose point of view, I am slightly sloppy pulling my heels and with an average cadence of 190 a little to quick in my strides, but it is what works for me barefoot, in my seeyas I can go down to a slow 180 average, but it feels a little more clunky. That said I really enjoy having found a solid shape and style, not to mention having build up the sole of my feet to run above 10K without problems at all, save for the occasional blister. Something worth taking up with my coach when I see him in late September or at least getting his opinion on. 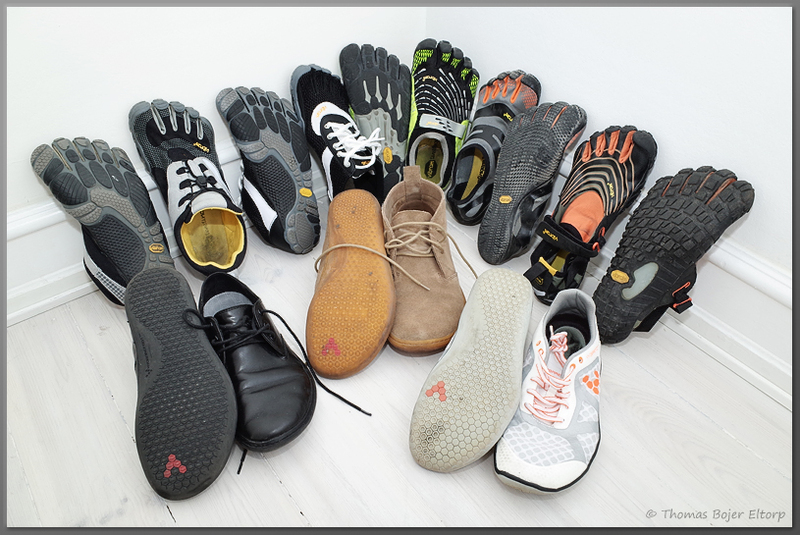 I have earlier mention how dissatisfied I were with the vivobarefoot “one” both from a fit and durability point of view. Well I took them back to fotkultur.se in Malmö to complain and I got a long explanation on how they had had heaps of complaints on the durability and that he would exchange my shoes for a pair of “Stealth” according to the sales guy a “fixed” version of the vivobarefoot one. I went with a very nice yellow/greenish colour and just slipping my feet into the shoe told be all I needed to know. A marked difference to the “one”, while the upper has more apparent structure it is way softer than before. The toebox now seems wide enough to accommodate my fee and previous mentioned pressure points are gone. 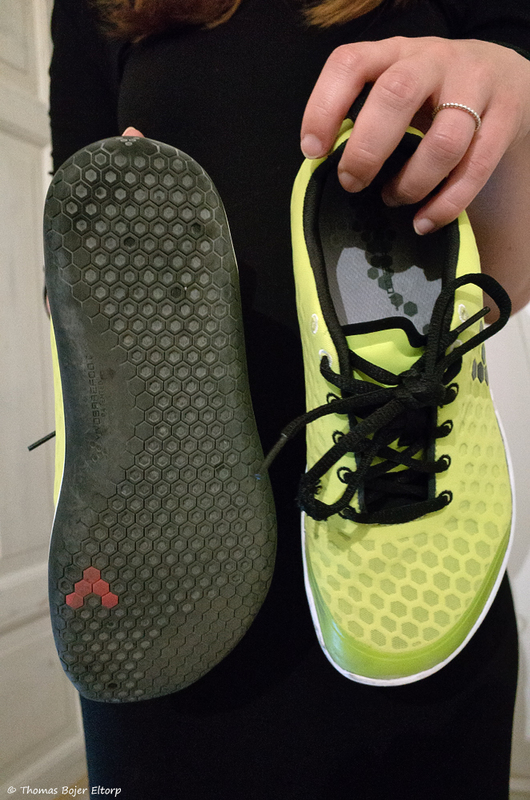 The sole seems classic vivobarefoot, which means a reasonable ground feel, it is not a seeyas or el-x, but it is miles ahead of most shoes and still quite a flexible sole. It has more than enough padding to make it a good everyday shoe. 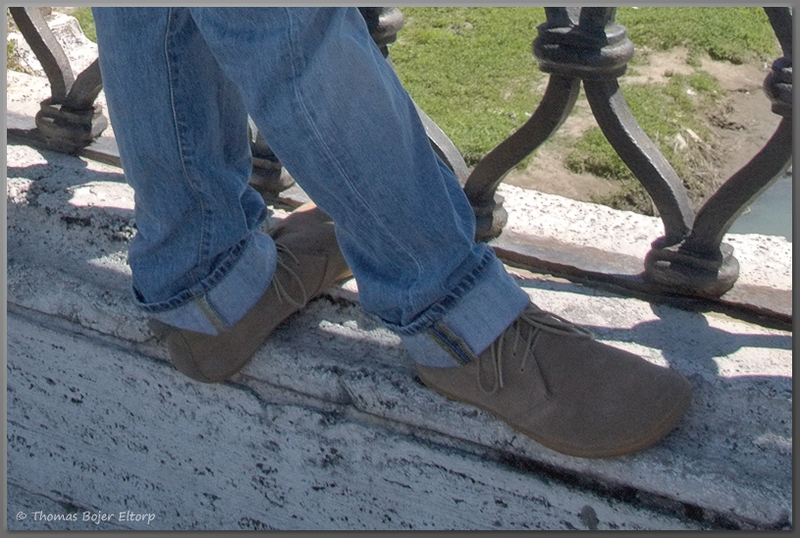 I have worn the Stealth extensively as an everyday shoe, full days of travel and city walking, biking, etc. and while it still has a bit of a durability issue, then it is a much more finished shoe and a pleasure to wear as a casual shoe. 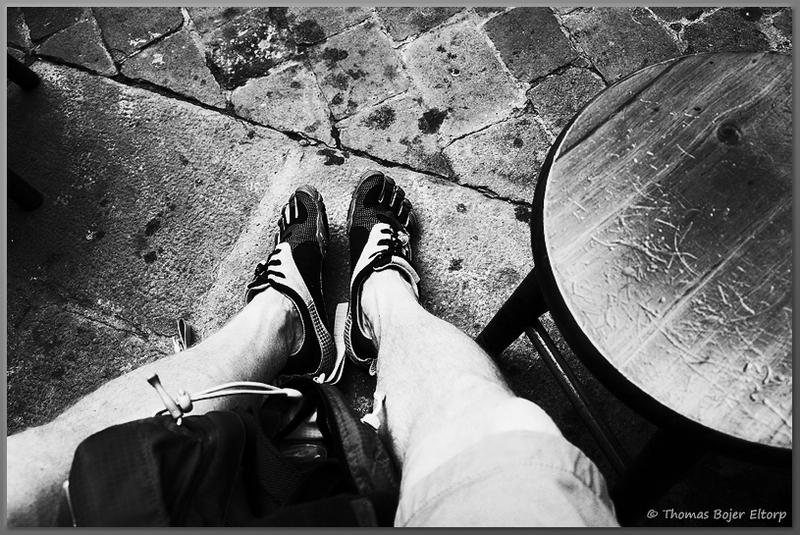 I am not much into running in closed shoes, I can bear wearing my seeyas or spyridons, but prefer bare feet. however I am sure that the fit and ground feel will make it a very attractive minimalist running shoe. I ran a relaxed 6K totally barefoot and at around 4K I stepped on a very pointy rock hidden in the gravel, providing a sharp hit directly to the inner joint of the 2nd metatarsal in my left foot. It did not stop me at first, but in the evening I could barely walk. 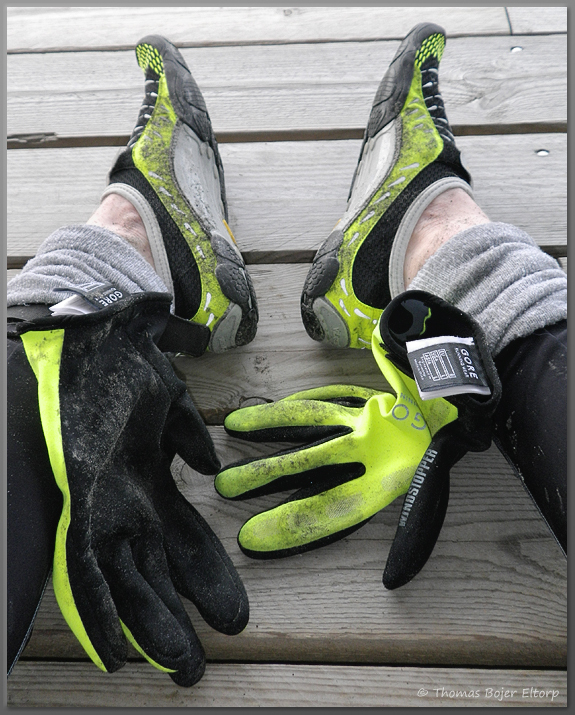 Best part after 3 weeks without running, was on a moist and cloudy afternoon in Nuuk, to strap back into my running clothes ready for for a barefoot test run. A gorgeous relaxed 6K, primarily on paved roads, but I managed to sneak in half a kilometre of very nice rock running. 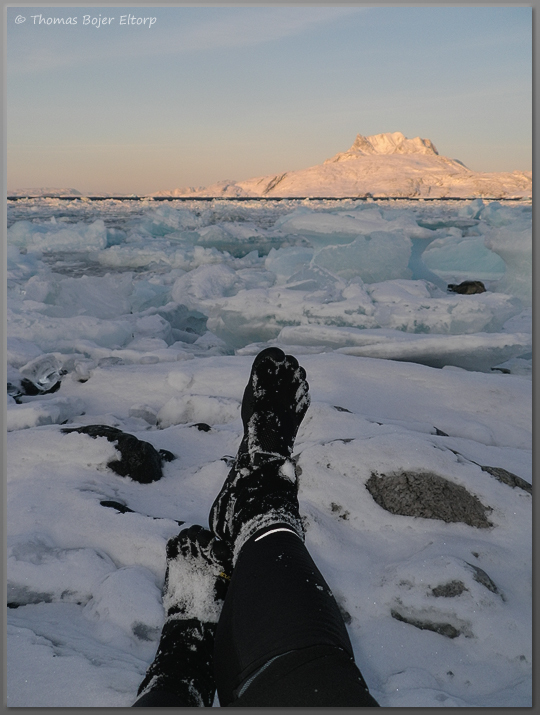 Running completely barefoot in Greenland, a first for me and triggering quite a few odd glances. 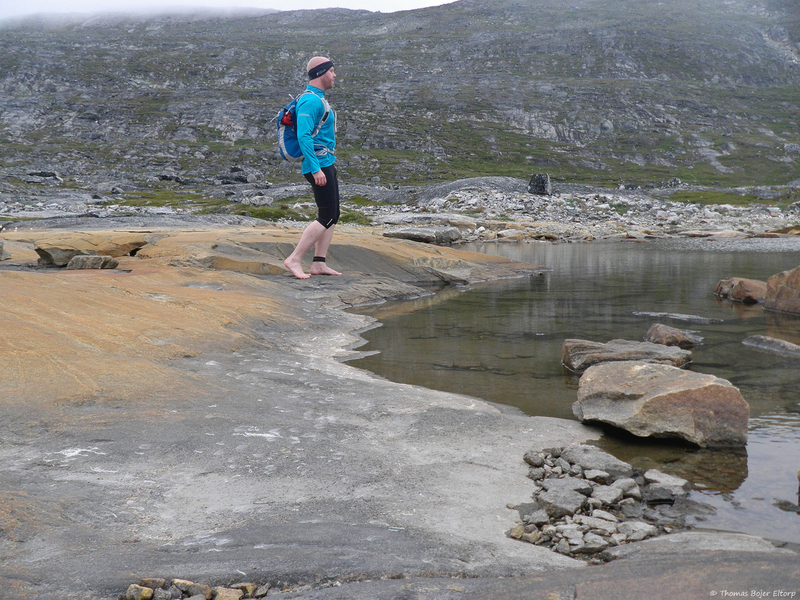 Minimalism is in its infantry here and only one person in Nuuk is running barefoot (me). Perhaps the most rewarding run I have ever had. A day later I was back on an Aircraft heading for Copenhagen and a gorgeous 10K. 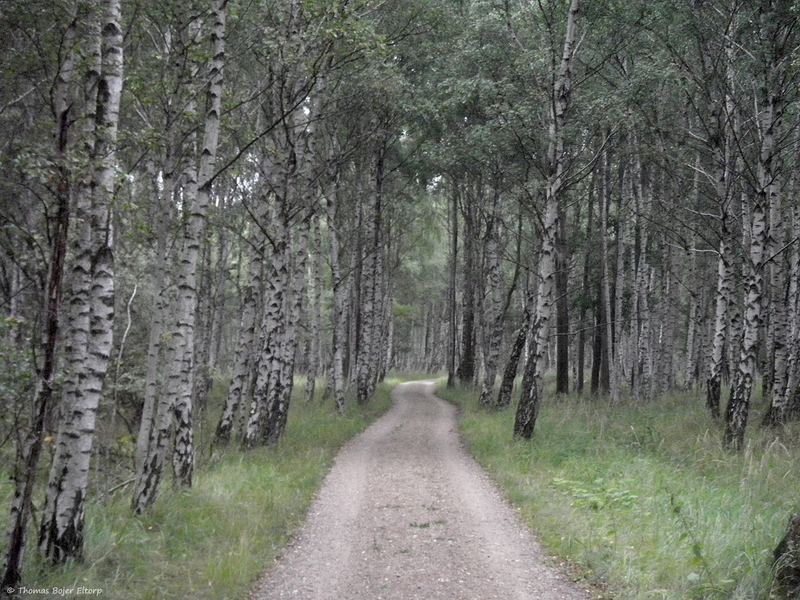 The first 7K was an amazing stretch of paved paths. Flat as they were they made for some excellent running style practise (or focus I should say). I really feel my running style is getting really dialled in and that I can run effortless and relaxed to an extend where all I feel as I add distance is that my muscles gets tired, but the style seems to be going through the same smooth cycle. I met another minimalist runner on this trip, clearly still working on his form and with some work to do. I think many runners will agree that we strive towards a nearly flatfoot stride, or barefoot stride, running too far up on your toes is only going to be a fast way towards injury. Anyway, we chatted a bit and he gave some great advise on running routes in the area (I am not that well know in the area where I was running), before we parted ways and I broke left onto the last 3K of gravel roads and trail. I quickly brushed off my feet and stepped into the seeyas and continued running. Lots has happened since writing up my shoe post, well actually even before, but just gone unmentioned in that post. 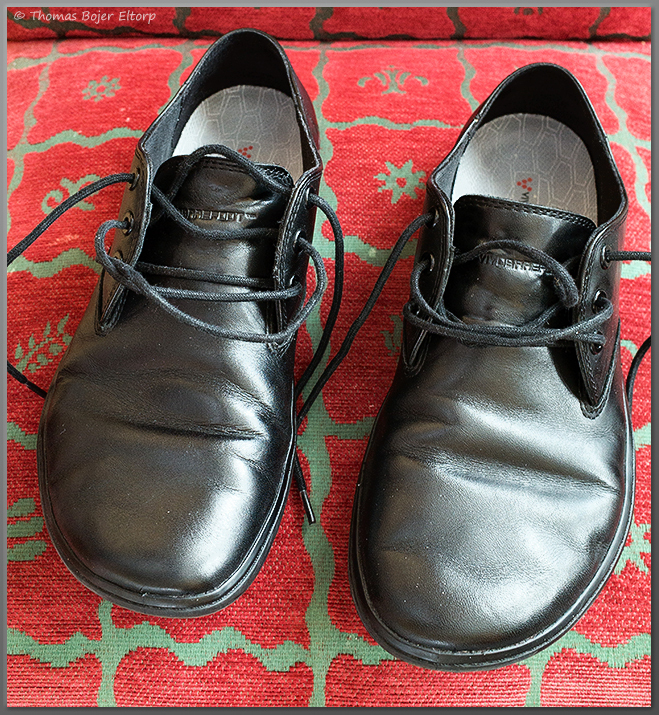 I hammered the EL-X five fingers quite hard for a number of things when doing my barefoot shoe write up, but heading off to London I decided to give them one more shot as my travel and London city walking shoe. I wore them for 12 hours of walking in London (a good 30K) with a 12 kilo pack in some healthy warm weather, my hope is that they will loosen up and break in some, because as mentioned I adore the ground feel of the sole. In the late afternoon I met up with my girlfriend and we jumped the train to Eastbourne for the weekend. Most people I guess come her to hit the beach, so did we. Though we hit it walking. Once you get past the tourist nightmare and onto the shore beneath the massive chalk cliffs (at low tide I might add) there is an excellent and quite long walking route on some wonderful terraing of water polished rocks, chalk stone and some other goodies. 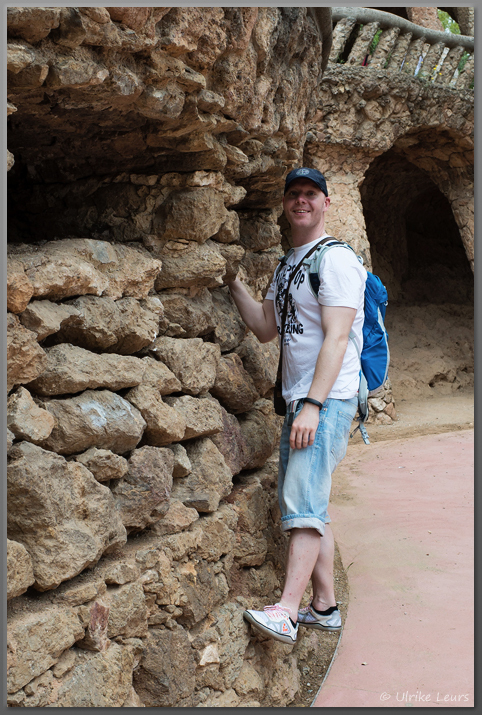 And hiking this very uneven terrain in the Spyridons was a pleasure (I have to admit though that I spend a lot of time barefoot when the terrain allowed for it). As the tide came in we hiked up and along the upped edge of the cliff for a long stretch. Before heading back to Eastbourne for a pub dinner and a pint. 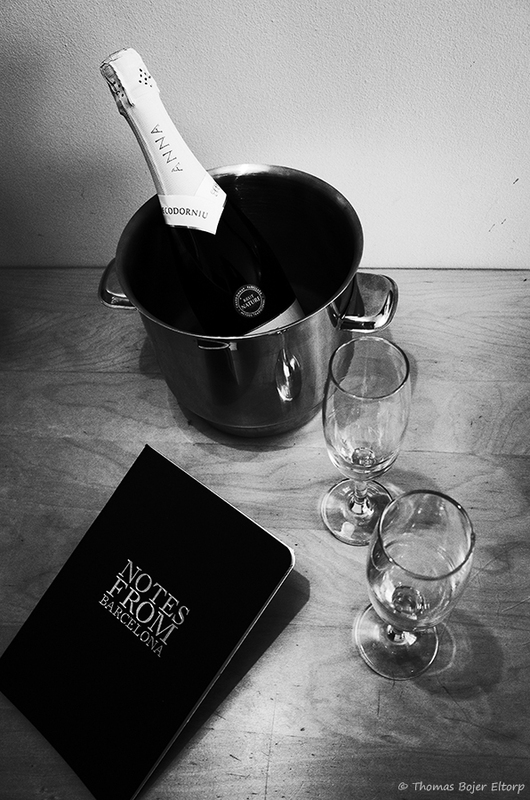 Sunday was pretty much a repeat story, before catching an evening train back to the Airport and a flight to Copenhagen. Copenhagen has provided me with two excellent runs this week. First a 7K speed test, it has been a while since I really have been putting things to a test, thus I strapped into the seeyas and set up to see how solid my running style would be when upping the pace and when it would start to come apart. Pace was set to 4:30 average, a pace that normally would be my fast half marathon pace. And the run felt good, really good. Now I could definitely feel my feet getting tired towards the end and the fact that I ran in my seeyas that provides no support really made a lot of difference to at least how long I was able to sustain this in the past normal fast pace. It felt good to be running faster again though and to verify that my technique and strength are improving also at a faster pace. 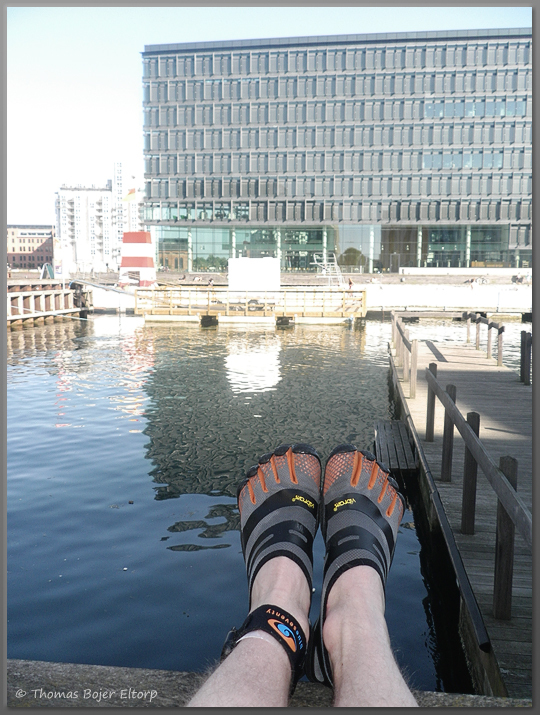 Second run was a 10K barefoot run around the lakes in central Copenhagen. One of my longer completely barefooted runs and intentionally run on a track that is fairly leisurely and easy on the feet. The lakes are a mix of fine gravel paths and paved paths, add in the flagstones and cobblestones part of my run to and from the lakes and you have an excellent mix of varied surfaces. I had my doubts about how the gravel sections would feel, but they were entirely OK, only a couple of times did I encounter stones big enough to notice underfoot. 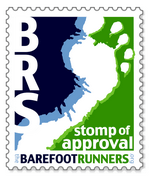 I normally see quite a few barefooters or minimalists on this route, but on this day I was the only one. Pace and style was a generally good experience. I am still a little “lazy” in my heel pulls for the lack of a better word and I could feel myself getting tired towards the end, but not significantly and my feet and soles in particular were strong enough for a sprint the last kilometre home. Definitely my best barefoot run so far. 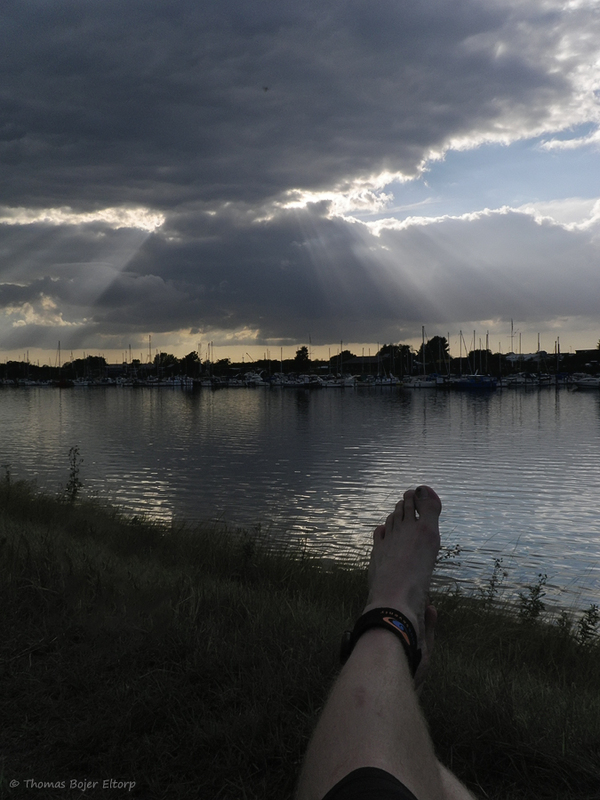 It has indeed been a while and while you may not have seen me posting or updating my blog with new content, then I have indeed been running and travelling a fair bit, adding another couple of European cities to my barefoot experience. Barcelona and Madrid to be specific, two amazing places. 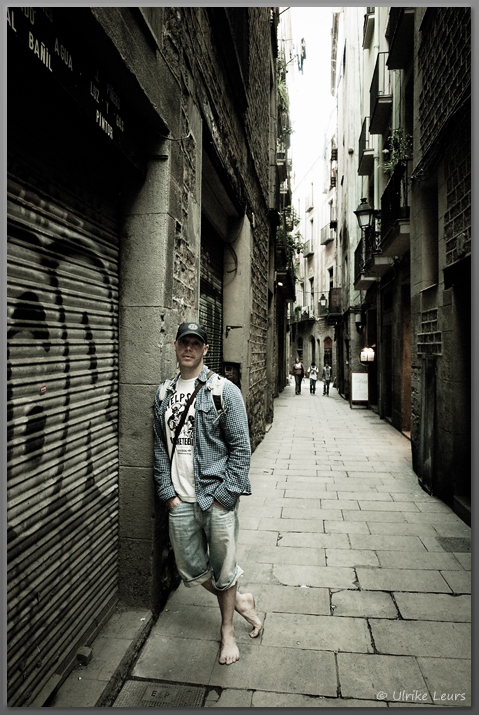 Madrid was all business and those of you familiar with business travel know how little of the often perceived glamour associated with it holds true in real life. From here I went by train to Barcelona and let it be said, the spanish train service rock! I do not think I would even want to fly between Madrid and Barcelona again, it was that much more hassle free and relaxed. After check in I had the time for an absolutely Gorgeous 8K fully barefoot run in El Born, via La Barceloneta, through Barri Gotic and back. Later in the week I did a 14K barefoot style run from Plaza Europa, up to the Montjuïc Castle and home via Plaza Drassanes and Plaza Espana. Third Run was a quick 6K moning barefooter from plaza Europa to Plaza Espana and back. 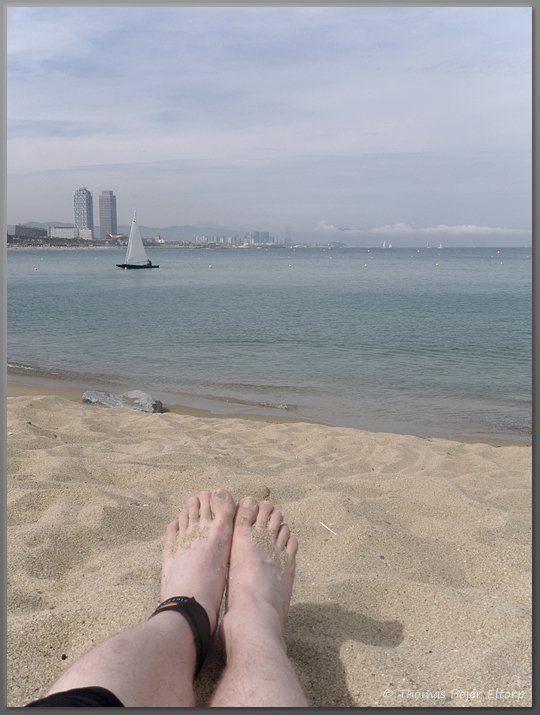 In addition to the running I did a lot of the general sightseeing and weekend break wiht my girlfriend barefooted and Barcelona really is a safe place to do so, at least I saw little to no glass or other hazards anywhere. So overall some very pleasurable days . the running was from a technically point of view uneventful. Run sightseeing is a concept I am really warming up to again and the barefoot aspect really adds to the getting “connected” with where you are feeling for me.